While I was filling up the last few pages of my 2016 journal, I couldn’t help but take some time to revisit the 365+ pages I’ve scribbled on (or skipped). 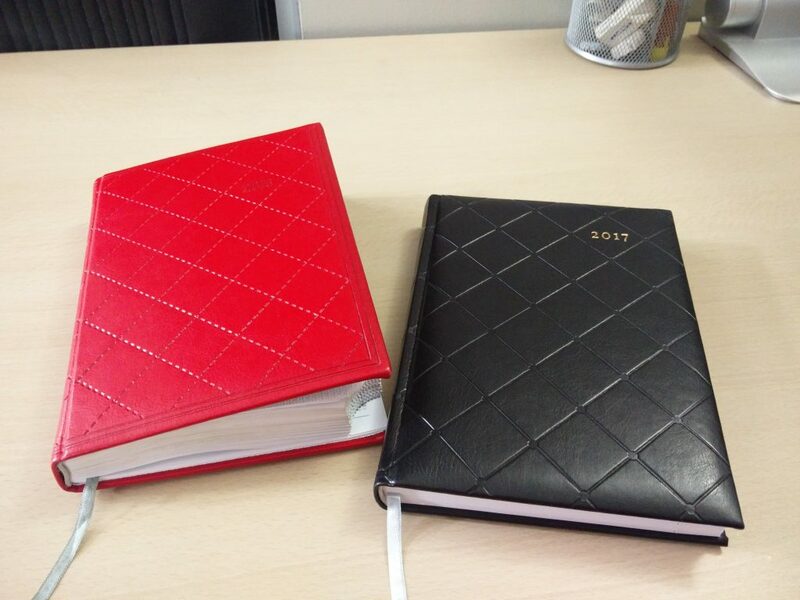 For the previous years, I have only skimmed through the journal at the end of the year but this year I wanted to take a closer look – as the saying goes “the devil is always in the details”. I hope to reflect on the story told from reading between the lines of all of these past pages that are frozen in time – somewhat like a scripture awaiting to be translated. By the end of it, I hope to have drawn some conclusions and insights to take into my 2017 journal – which is already eagerly sitting on my bookshelf. Reflecting to my first month’s journal entries it became clear that they were the most detailed – with color coding, quotes, and even some end of day reflections. I could attribute some of the effort to the excitement (or fear) of the new year but I believe the true reason was because it was the month in which I was working to not let our startup failI was working to not let our startup fail – which the eventually closed later that month. Challenges (or opportunity) certainly impact how carefully I journal and articulate that day. Note: From my entry above, I revisited the “8 different areas of my life” and realized that career and work, living environment, and planning were the lowest. Therefore, I’m not surprised that these areas became my focus in the journal entries that followed. Like my lonely birthday post, birthdays are a good reminder to pause and reflection – as you have one less year to live and enjoy. The significant theme for these five months was career-hunting (yes, not job hunting). Now that I was no longer self-employed, I wanted to seek a career in which I can practice and build similar skills that I enjoyed working on for myself. These months were a bit of “soul searching” because I began with the list of careers I may be interested in – digital marketing, outbound sales, business development, and product management. Spending the time to find work that you will truly enjoy is worth the effort. The five months I spent career hunting eventually led me to learn that I enjoy product management and I am happy to be working in that today. Article on Finding a Career after Entrepreneurship: I have finished the draft which gathers the learning from “career hunting”, I will be posting it on the blog shortly. With the career hunting concluded, significant portion of my journal entries for the six months are along the lines of getting good at my new job, readjusting my schedule with worth taking 9-5, and accumulating a handful of draft blog posts which I hope to publish throughout the new year. Empty Journal Pages – it is okay (and even better sometimes) to have some blank pages as long as you are focused on a very specific goal. For example, I had the most blank or partial entries when I was career hunting (June) or disconnecting to meditate (August). Discipline – however, it is NOT okay to skip the Journal entries when you are “busy”. Time and time again I have realized that journaling to articulate the busiest of days (personal or professional) have always amplified the outcomes that they. 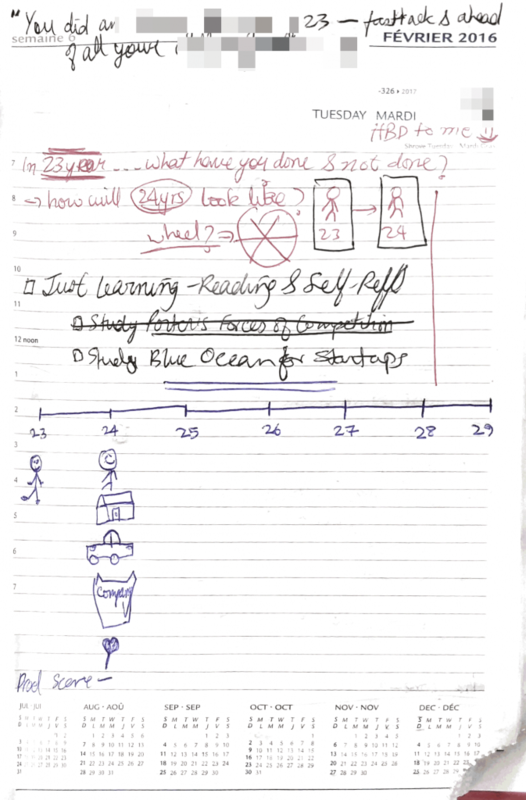 Changing Structure of Journal Entries – I noticed that over the year, I changed what I write / journal about. 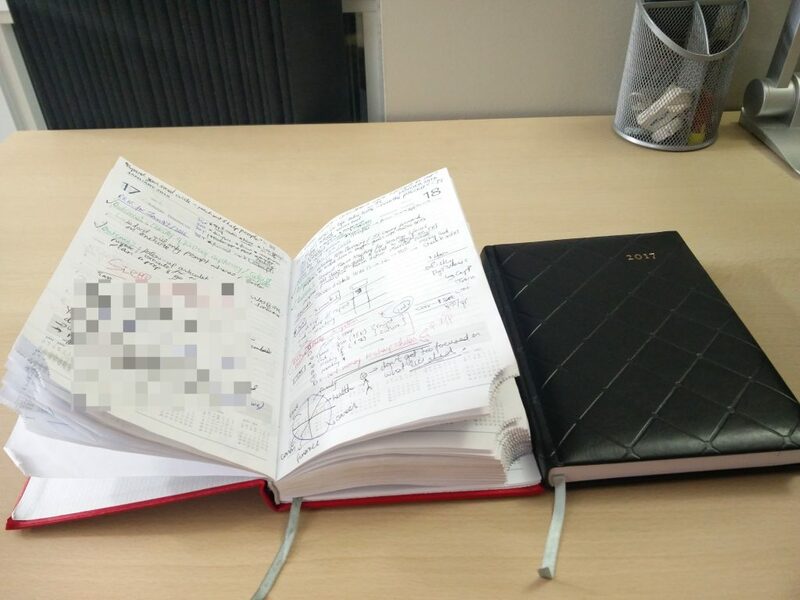 For example, I no longer do my weekly planning in the journal and now do that in OneNote.